Interest in heat pumps, particularly in rural areas, has soared since the confirmation of the RHI (renewable heat incentive) tariffs announced by the Government on the12th of July this year. As long as basic eligibility criteria are met, (250mm of loft insulation & filled cavity walls), then one could expect savings & income in the region of £1,350.00 & £3,000.00 a year on the installation of air source or ground source heat pumps respectively. 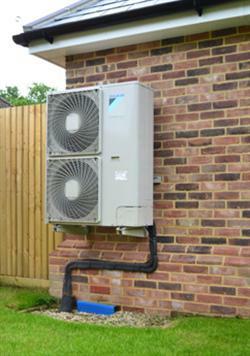 Take a look at our heat pumps guide for further information.